Former library books can be taken home from carts such as this one. The Calarco Library is undergoing a major process, “weeding,” that regulates the books at Hopkins. While it can be a painful, tedious task to part with certain books, weeding is important to ensure that the collection is fresh and inviting, and will make students want to read. Through the efforts of four librarians, Calarco is able to support any students’ interests with the best material possible. 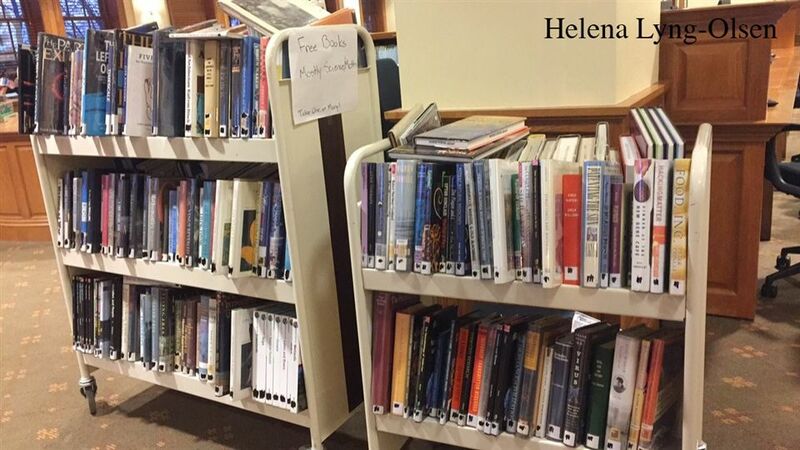 While some books may not have a place at the Hopkins school library, they may have a place in student libraries. Students should be sure to stop by Calarco Library and take a look at the books available!